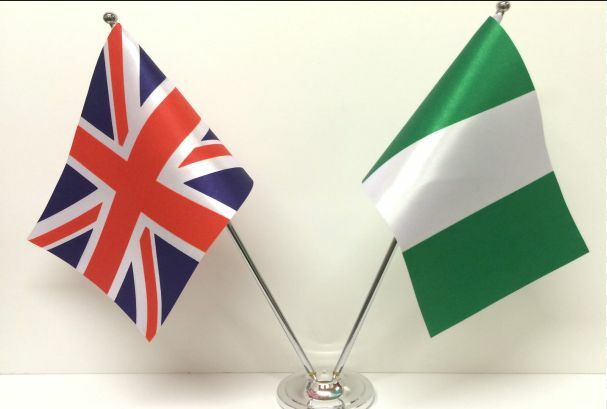 Steps to book for a UK Visa Appointment in Nigeria – It is no longer news that a humongous number of Nigerians, despite their demographic distribution, are constantly in search of a way to leave the shores of the country in search of greener pastures. One of the major locations on their list is the United Kingdom which is a culmination several countries including England, Scotland, North Ireland and Wales. These countries share common heritage, boundary and lingua franca and thus form the United Kingdom colony. These United Kingdom immigration hopefuls mostly do not have an idea of the steps to be followed in applying for a visa, not to talk of scheduling a visa appointment. As a matter of fact, a lot of people do not even know what a visa is, to this end, I think it is wise to pause this article to properly describe what a visa is and how it applies to a prospective immigrant, not just to the United Kingdom but any country at all. In simple terms, a visa can be described as an endorsement on an individual’s passport given by a country other than the individual’s home country allowing them to migrate to the said country for a stipulated period of time. Quite a number of countries worldwide, especially first and second world countries, have very strict immigration rules which means that for people to visit the country they would have to be endorsed, and that for a period of time after which they either renew their papers or exit the country otherwise face deportation. The United Kingdom falls into the category of countries which have very strict immigration rules, as a matter of fact the rules in this part of the world sometimes seem to be more stringent than other parts of the world. This just means that even though there is a very high number of people the world over seeking for visas to get into the country, only a few get approved at the end of the day. This article seeks to educate the reader on the steps to take in applying and mostly scheduling a visa appointment and how to conduct oneself at a visa interview to avoid being rejected or embarrassed. Firstly you must understand that to apply for a UK visa there are certain requirements that should be satisfied by the applicant. The first of these requirements is being in possession of a Nigerian Immigration E-Passport, this passport must be valid for a period of at least thirty (30) days after the applicant’s intended sojourn in the United Kingdom is over. There are two major ways of applying for the Nigerian Immigration E-Passport, you can apply online by visiting the Nigerian Immigration official website. You can also decide to visit the Nigerian Immigration office in your state of residence, the first option is however described as less cumbersome and faster to undertake. Just as with other country visas, the applicant has a variety of options from which to pick for a visa application. The applicant planning to stay for an extended period of time can opt for a long term visa, but in making this application the applicant must be able to give tangible reasons why he/she should be allowed to stay long in the United Kingdom. The most common visa applied for however is the tourist or visitor’s visa, this visa is issued for short stay purposes to those planning to visit family members or loved ones or just go to spend a period of time on holidays. For one to be considered for a visitor’s visa the person must submit along with the visa application a letter of invitation from the loved one to be visited, also to be submitted is a statement showing that the visited party can take care of the bills or expenses of the visitor throughout the period of stay in the United Kingdom. Another kind of visa that can be applied for is the student visa and for a person to apply for this, he/she must have been offered provisional admission to an institution within the borders of the UK. To this end, while submitting a visa application, the student must submit a letter from the institution offering the admission stating that the applicant has been offered admission to study at their college. A work visa also known as a work permit is a visa issued to people who have been offered skilled employment within the United Kingdom, it is also given to sportsmen and women, etc. A diplomatic visa is given to government officials and other individuals who are representing the government of a certain country in the United Kingdom as well as delegates representing renowned Non-Governmental Organizations. Having dealt with this, the next issue to deal with will be the major requirements for a visa application. What are the requirements to be met in applying for a United Kingdom visa? The next few lines carry information about the requirements you need to prepare before submitting an application for the UK visa to avoid rejection or embarrassment. Evidence of payment of the visa fee. To be more acquainted with the visa requirements, you can visit the UK Immigration Service visa requirements webpage. What are the steps you should take in applying for your United Kingdom visa and scheduling a visa appointment? Step 1: This involves you applying online for the UK visa via the Teleperformance website. Teleperformance, which is a private company working in partenership with the United Kingdom to handle all visa affairs in Nigeria, has its application centers in both Lagos and Abuja. Teleperformance works with the government of the United Kingdom, specifically the Immigration service in helping to issue visas and handle other immigration related issues on their behalf in Nigeria. This partnership has made the visa application process easier and considerably faster, as long as all the required documents are made available and submitted promptly. Step 2: This step sometimes is viewed as the first, but in reality it works hand-in-hand with the first. It requires the applicant to visit the United Kingdom Immigration and visa website to make inquiries about what kind of visa they should be applying for. The kind of visa to be applied for is based on two variables, the length of time they are planning to spend in the United Kingdom and the exact purpose of the journey itself. At this point you should be informed that the UK visa fees vary depending on the category of visa that is being applied for. If one is applying for a regular visitor’s visa which is a short term visa, the standard application fee is $141. Asides these information, the applicant also has access to the visa application form which can be filled and submitted right there on the website. The applicant can also fix an appointment with any of the visa application centers in the country from the website, and this should take just a few minutes, depending on the proficiency of the applicant. Step 3: Once the visa application form has been filled and submitted, the applicant will automatically be provided with a number known as the GWF number. The applicant should take note of this number and store it somewhere for easy access and remembrance as it will demanded much later during the visa application process. The applicant will also receive an email which will confirm the visa application form submission, it will also confirm the visa appointment date at the UK visa application center, as well as the address of the application center and the documents required to be submitted at the application center during the visa interview. Step 4: While making the application, the applicant will be required to fill and submit their correct personal details and any other relevant information on the Teleperformance website once they have booked an appointment with the visa application center. A failure to register may result in the fellow being prevented from attending the appointment with the visa application center. Registration on the Teleperformance website also provides the applicant the opportunity to track your application process via the website. A hardcopy print out of the online registration form. Other documents which were received in the email sent along with the appointment confirmation. All of the application requirements together with the ECOWAS approved passport can be submitted at any of the UK Visa Application Centers located in Abuja or Lagos. The documents can be submitted on any of the working days of the week, which is between Monday and Friday, between the hours of 8.30am and 4.30pm. Note that public holidays are not included since offices will not be open for operation. Submission of fake or fraudulent documents. If the applicant has previously faced deportation from the United Kingdom. If the applicant is found to be withholding information regarding previous crime convictions. If it is noticed that the applicant lacks the necessary funds to foot expenses while in the UK. In conclusion, I believe this article has been educative and of help to your cause in applying for a visa and scheduling a visa appointment. For any extra details, you can visit the United Kingdom Immigration service website.